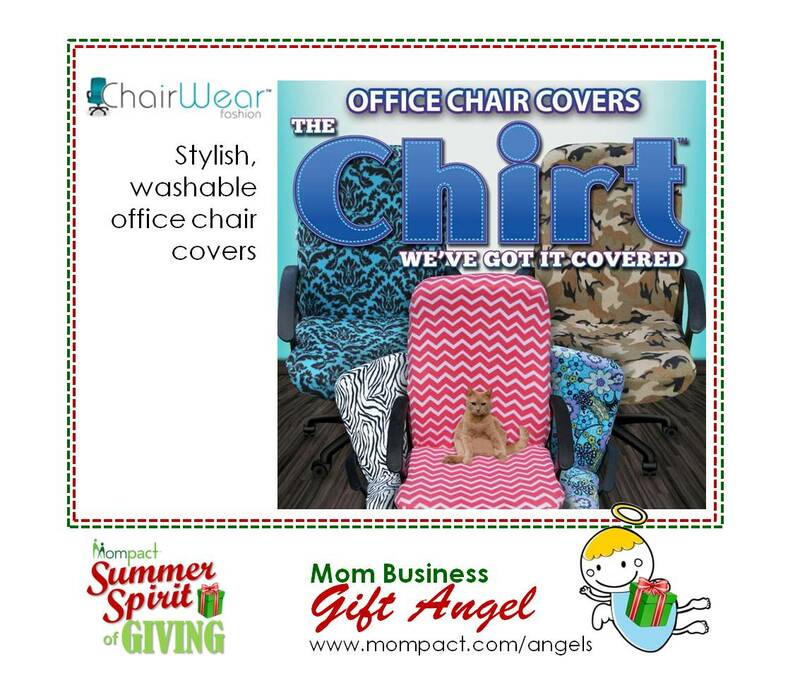 Special: 20% off any Chirt at www.chairwearfashion.com with coupon code MOMPACT20 from August 1-15, 2015. Lindsay turned a great idea into a thriving family business, ChairWear Fashion. Our product, The Chirt, is a patent-pending office chair cover. The product has become quite popular, already selling to all 50 US states and 9 other countries. People love the Chirt for their home or office work spaces. Not only does the Chirt look amazing, but it’s also machine-washable and saves consumers and corporations thousands of dollars each year by solving a common problem: Over time, office chairs start to look pretty ugly with tears and wrinkles in the material. The Chirt slips easily over the entire chair like a pillow case and makes the chair look as good as new again in just minutes–no tools required!